Try the hottest vodka in the country! Born in Austin, Deep Eddy Vodka is handcrafted in our Texas Distillery by a team serious about creating a great spirit. Our vodkas are column distilled 10 times using corn, the finest Texas water and natural flavors. Nothing but smooth, clean vodka reaches the bottle to deliver and award winning taste. Filtered 6 times. Cranberry is made with real Cranberries from Massachusetts and the Ruby Red is made from real Grapefruit! 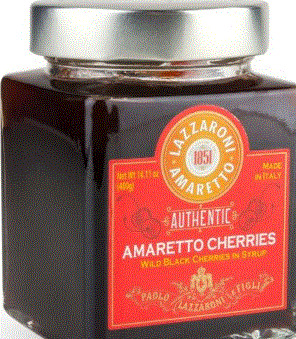 Made using wild, black amarena cherries from the Apulia region in Italy and then soaked in Lazzaroni Amaretto. Lazzaroni has been making authentic Italian Amaretto in Saronno, Italy since 1851 Contains 50% candied cherries and 50% syrup. Chablis It is hard to find a great value in Burgundy these days, but you can always count on Chablis to offer stunning wines that won't break the bank. Located almost 60 miles North, Northwest of the Cote D'Or, the heart of Burgundy, Chablis offers some of the most precise and exquisite examples of Chardonnay in the market today... Click to Sign up for the Chablis Class on January 28th. 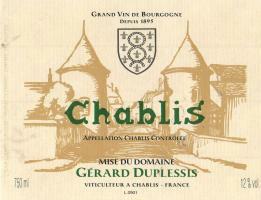 Chablis wines are made in a style rather different from those produced elsewhere in Burgundy. They are drier and fresher, rather than more weighty and richly flavored. Unlike typical Burgundian white wines, which are barrel fermented, Chablis is usually entirely free of any oak influence. Very few Chablis producers use oak barrels in their winemaking and the exceptions are restricted to the higher-quality wines, whose extra complexity and depth mean that the wines are not overpowered by oak flavors. The vineyards of Chablis are classified into four tiers of quality. Starting from the top, they are: Chablis Grand Cru, Chablis Premier Cru, Chablis and Petit Chablis. Wines which conform to the general Chablis appellation laws may claim the classification held by the vineyard where they were grown. The appellation AOC Chablis is the most prolific and geographically widespread of the four classifications. It was created in 1938 at the same time as the Chablis Grand Cru appellation –to protect the Chablis name, which was being used around the world to describe wines bearing little resemblance to the real Chablis. Today, all wines carrying the Chablis title are dry whites made exclusively from Chardonnay. They must be produced from vineyards in a specifically designated area surrounding Chablis town and its nearby villages. Chablis Premier Cru is not a distinct appellation like the other three classifications, but rather a quality sub-division of the standard AOC Chablis title. Its geographical coverage is significantly larger than that of Chablis Grand Cru. There are 40 climats (vineyard sites) around Chablis which are deemed worthy of the Premier Cru title, and these are further subdivided into roughly 80 specific vineyards. The wines produced under this title are made according to quality controls that are halfway between those of the Chablis and Grand Cru Chablis appellations. Chablis Grand Cru wines are produced from just 250 acres (100ha) of vineyards planted on gentle south-west-facing slopes at the eastern edge of the town. There are seven named Grand Cru climats. Running from north to south along the Serein river they are:Preuses, Bougros, Vaudesir, Grenouilles, Valmur, Les Clos and Blanchot. Wines claiming the Grand Cru title are made under stringent regulations; the maximum permitted yieldis lower than for standard Chablis, and the minimum potential alcohol one degree higher. Chablis Grand Cru wines respond well to bottle ageing for between 10 and 15 years. This wine has a rich, fat, almost buttery character. Certainly the acidity is there, although it has a warm, summer feel. The structure typical of Les Clos is all there as well, giving concentration and density. At the end spice goes with the extreme freshness of the citrus aftertaste. Drink from 2020. The 2013 Chablis 1er Cru Montmains, which lies on the border with Fôret, has an understated but very precise bouquet with flint and light green apple scents. There is an airy intensity to this Montmains. 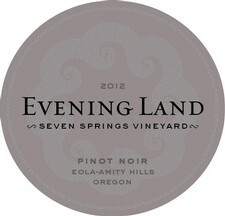 The palate is crisp and fresh with a keen line of acidity, precise and persistent in the mouth. There is also plenty of salinity toward the finish, completing what is an excellent Montmains, especially within the context of the vintage. The 2012 Chablis Grand Cru Les Clos comes from two parcels that together make 1.3 hectares that were planted in 1954 and 1969. It has a very focused nose with hints of dandelion, bruised apple, orange rind and hazelnut, every swirl revealing another facet. The palate is very well-balanced with well-judged acidity, a little higher than Drouhin’s other grand crus. It is interwoven through the notes of citrus fruit, smoke and hazelnut. This is very cohesive, those (Saar) Riesling-like, petrol-like-notes surfacing toward the finish. Excellent. Drink 2017-2030. The 2012 Chablis Grand Cru Vaudesir comes from 2 parcels that altogether make 1.5 hectares, one with a southwest exposure in the middle of the slope and the other consisting of very old vines at the top of the slope. It has a very well-defined, mineral-laden bouquet with hints of lemon curd, fresh lime, and hints of the sea (a salty tang that emerges with time). The palate is well-balanced, a little more rounded than the premier cru. It sports very good weight with subtle peach and nectarine notes that combine on the pure and appealing finish. Gorgeous! Drink 2016-2026. Side Project - The Scribe! Emails sent out this morning for The Scribe! 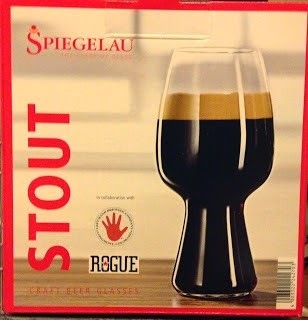 In collaboration with Left Hand Brewing Company and Rogue Ales, introducing the ultimate tool for the enjoyment of stout beer, the Spiegelau Stout Glass. After months of design and tasting workshops, the brewers ultimately and unanimously chose their favorite custom-made glass shape. Expertly crafted, tested and approved, the Spiegelau Stout Glass accentuates the the roasted malt, rich coffee and chocolate notes that define the stout beer style while maintaining the functional design characteristics Spiegelau beer glassware has become known for. Produced using ultra pure quartz material for unmatched clarity. Made in Germany. In collaboration with two of the leading IPA brewers in the United States, Sam Calagione of Dogfish Head and Ken Grossman of Sierra Nevada, Spiegelau has created the new standard for IPA beer glassware. Achieved through a series of design and tasting workshops in which hundreds of possible designs were considered, the brewers ultimately and unanimously chose, by secret vote, one glass – ‘number 6’ – from a final lineup of eight custom-made prototypes. Designed to showcase the complex and alluring aromatic profiles of American “hop-forward” IPA beers, preserve a frothy head, enhance taste and mouthfeel, and present a comfortably wide opening for the drinker to savor each beer, Spiegelau’s latest design is the go-to vessel for enjoying IPA beers. Hold on to your saddle, our barleywine was created with a bronco buck. 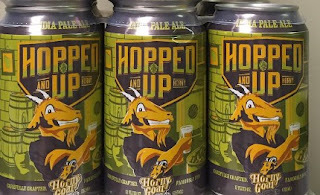 By using a big hop presence and a strong malt backbone and then aging it in old whiskey barrels you will see the balance of a great barley wine. This will age well for years and is to be enjoyed by only the serious Cowboy. Yee Haw! This IPA has just the right amount of hop love. We finish this brew off by dry hopping it with fresh Cascade hops, giving it a wonderful fresh citrus finish. Soothsayer is brewed with flour barley malts, two wheat malts, flaked outs and dextrose. Hops are Spalter Select and Styrian Golding. Ommegang yeast is used for both the primary and the secondary fermentation. Deep brown hue, fluffy tan head, lovely lacing. Aromas of licorice and chocolate. 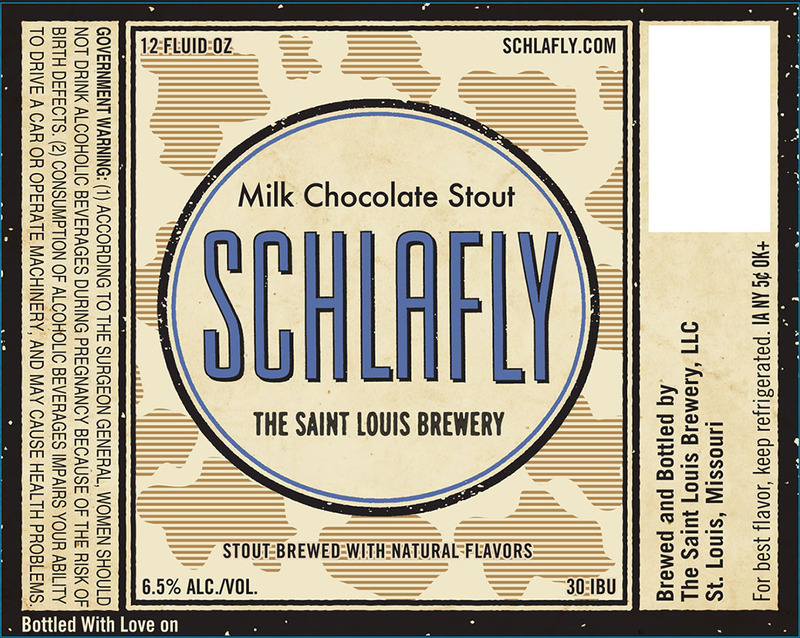 Sweetly malty taste, earthy notes of coffee, chocolate, and anise blending with subtle hopping. Smooth mouthfeel, full body, soft carbonation. The beer is well balanced with light fruity notes common to our house yeast. 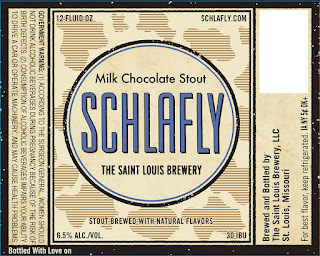 Limited release! 25th Anniversary Beer! One more surprise case showed up today! In 1989 we opened our doors with our flagship, 90 Shilling. Still a favorite today, we’re celebrating our Silver Anniversary with a double version of the recipe that started it all. 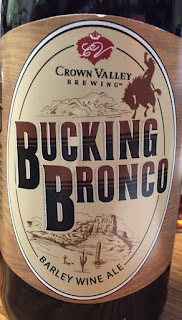 We’re a little bigger now, and 180 Shilling is too, with a hearty roasted malt base balanced by subtle earthy hops and aged on oak to create notes of toffee, plum, vanilla and dried cherry. Thanks for 25 years of beers, and here’s to many more. Cheers! As we do not get a lot of these Bourbons, we though holding back a bottle of each would a fun way to let 25 people get a chance to taste. $30 per person reservations required. It is hard to find a great value in Burgundy these days, but you can always count on Chablis to offer stunning wines that won't break the bank. Located almost 60 miles North, Northwest of the Cote D'Or, the heart of Burgundy, Chablis offers some of the most precise and exquisite examples of Chardonnay in the market today. Come taste 8 examples of what makes Chablis one of the best deals in wine. 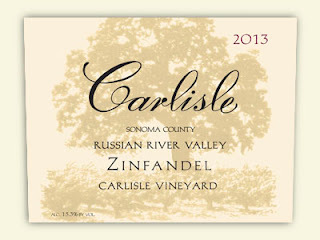 What Sonoma Zinfandel is all about: capturing a distinctive vineyard in a glass. Aromas of black raspberry, fresh-cracked pepper and orange zest combine with complex, well-modulated flavors of licorice, blackberry and dried sage. Drink now through 2028. Bright and vibrant, this is dazzling with its depth of pear, tangerine cream and pineapple flavors, plus a cascade of mineral aromatics that tumble through the very long finish. This has intensity on a relatively light frame, and then backs off and lets the flavors coast for what seems like minutes. Drink now through 2025. 300 cases made. White Winter Winery Blueberry Mead - A semi-sweet blueberry with subtle fruit aroma and velvety mouth feel with a spicy finish. One of the mead makers person favorites. 11.5% ABV. White Winter Winery Strawberry Mead- made with fresh picked strawberries in a blush style, semi-dry, fruity but not overly sweet. Pairs well with fresh fruit and cheese. 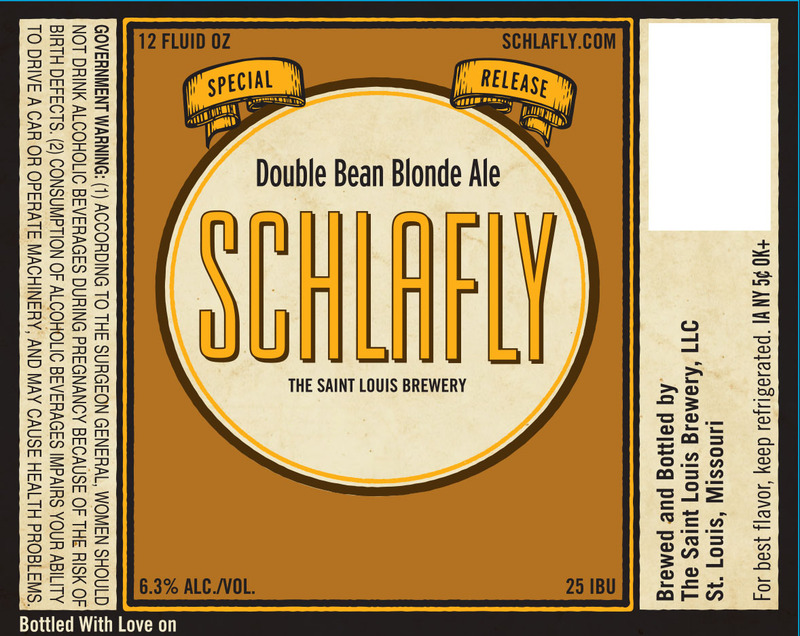 11.5% ABV. This is a great mead to enjoy on the deck or on the boat with fresh fruit and cheese. A delicious and easy way to entertain and enjoy the fruits of summer. White Winter Winery Cyser - Semi-Sweet made with fresh apple cider and honey. Embrace fall with the apple & honey taste of the season! Excellent with sharp cheeses, pork, and spicy foods. In the flavor neighborhood of a German or late harvest Riesling. 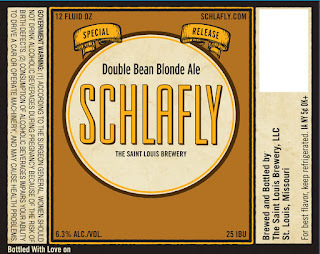 11.5% ABV. Bronze Award I.E.W.C. 2003, Gold Award - Int'l Mead Competition 2004, Gold Medal Great Lakes Ole World Syder Competition 2005. 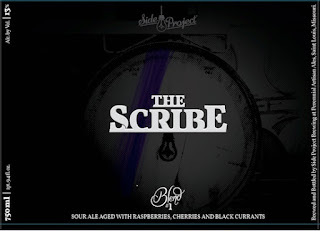 Side Project The Scribe Release Party! EMAILS SENT. This event is sold out via email invite only. BRC emails for the rest of the bottles will be sent Saturday morning on January 9th. 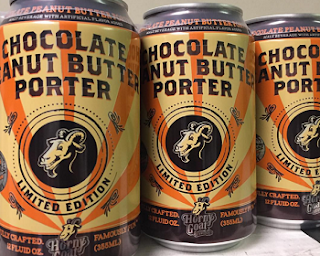 You have until 7pm Friday night January 8th to purchase towards the bottle release. The Wine and Cheese Place - 7435 Frosyth Blvd. Meet Cory and Karen King of Side Project Brewing! ** Just added. Cory was nice enough to add these to the tasting. He said this will be the first time he has tried all 4 side by side! Each person at the event will be allocated up to 2 bottles if they would like them to purchase. We have 240 bottles, the last 180 bottles will go down the list of our BRC. The report for the 180 or so left will run through Friday January 8th at 7pm. Emails will be sent out Saturday morning. The Scribe will be release through our BRC program based on Beer only purchases starting from October 12 until its release. With the rising cost of Napa Caberent these days it is refreshing to see an old favorite get the recognition they deserve. Freemark Abbey has long been a great source of well made and thankfully well priced Napa Valley Cabernet. An absolutely fabulous value is the 2012 Cabernet Sauvignon Napa. This comes from multiple sources and there are 46,000+ cases of it. A stunning Cabernet Sauvignon and a classic example of Napa viticulture, this blend of 75.5% Cabernet Sauvignon and the rest Merlot, Cabernet Franc, Petit Verdot and Malbec, was aged just over two years in oak. Loads of sweet blackcurrant fruit, cocoa, a touch of toast, earth, and baking spice are all present in this wine that has terrific fruit on the attack and mid-palate, a full-bodied mouthfeel, no hard edges and a luscious, opulent, gorgeously pure style. Drink it over the next 10-15 years. Although I wouldn’t be surprised to see it last longer. 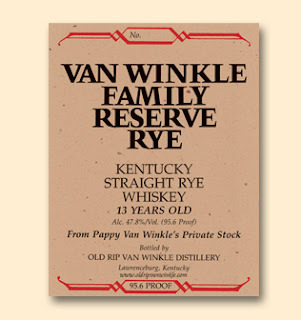 For old-time reader/subscribers, this might be the modern-day equivalent of the great 1974 Souverain Vintage Selection that I recommended back in the late 1970s and is still going strong today. While not as ripe as the heralded 2012 Vinatge in Willamette Valley the 2011 Vintage produced wines of amazing elegance and finesse. This 2011 from Trisaetum is just starting to show he beauty of a cool vintage in Oregon and the great terrior of Ribbon Ridge. It’s a brand-new year, and we’re kicking off 2016 with a brand-new beer: Meet Side Trip Belgian-style Pale Ale, our new quaffable beer with a pretty rad backstory. 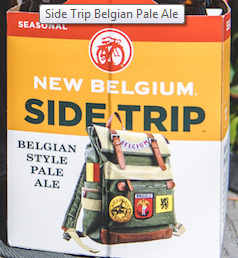 Each summer, New Belgium co-workers celebrating their 5th anniversary go on a week-long pilgrimage to Belgium along with brewmaster Peter Bouckaert (who was born in Belgium and spent time brewing at Rodenbach). 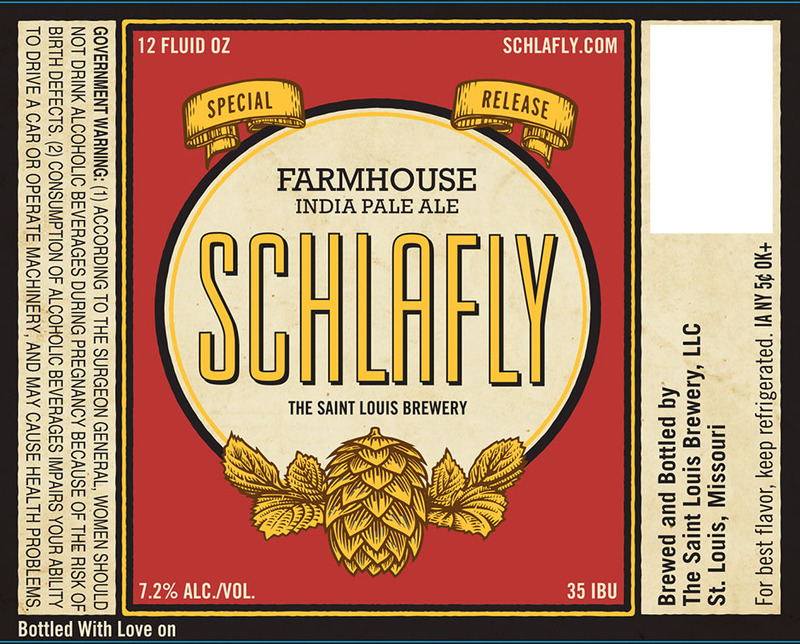 During our last anniversary retreat, Bouckaert had an extra item on his to-do list: Find the perfect yeast strain for his next beer, which he envisioned as a quaffable Belgian-style ale. Naturally, his method of research involved drinking beer. During the trip, inspiration struck Bouckaert while he sampled a beer from Brouwerij Van Den Bossche, a family-owned brewery in Herzele, Belgium. 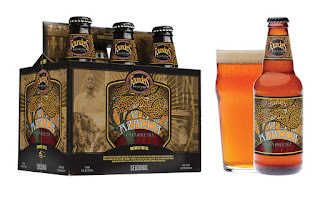 Bouckaert’s fondness for the beer led him to the brewery’s in-house Buffalo yeast strain (which is named after American icon Buffalo Bill, and used to create beers like Buffalo Stout, Buffalo Belgian Bitter and Buffalo 1907). Bouckaert asked if he could use the yeast, and the family happily shared it, setting the foundation for our first seasonal of 2016. A side trip worth taking, for sure. So, what is Side Trip? 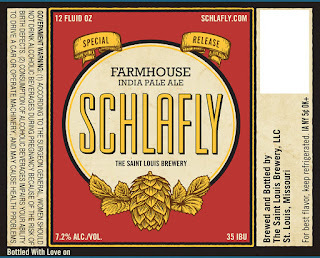 Well, it’s a beer that pays homage to our Belgian roots. Beyond the yeast, Side Trip also incorporates other Belgian ingredients, including Belgian Chateau Abbey and Cara Ruby malts from Castle Malting, the oldest malting plant in Belgium; as well as Belgian Magnum, Saphir and Target hops. The culmination of the ingredients builds a bready, caramel-sweet wash with traces of stone fruits, and a balanced herbal bitterness for a pleasantly dry finish. 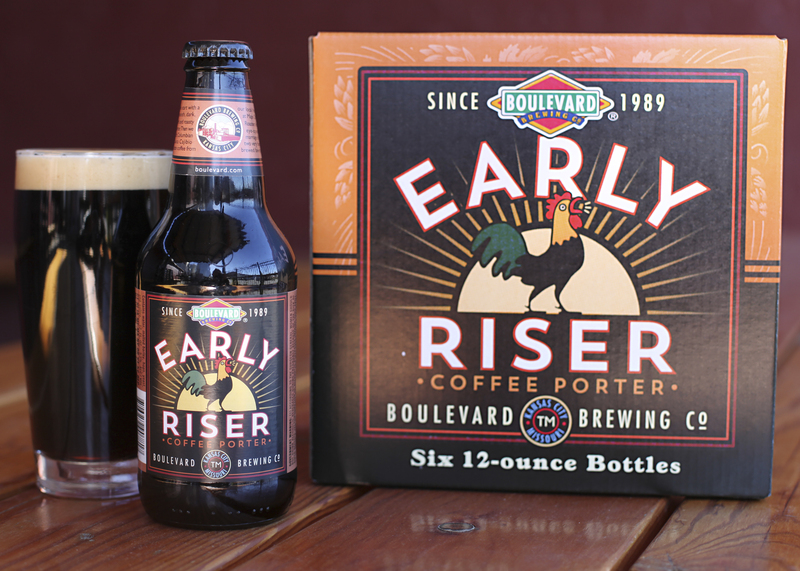 With the new year upon us, kick it off with a new beer. Happy 2016. If you’ve ever been to our brewery, you’ve likely seen the old, beat-up truck that hauls away our spent grain. That truck belongs to Lugene who’s been feeding his dairy cows the hearty malt for over a decade. 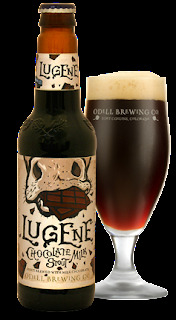 Named in his honor, Lugene Chocolate Milk Stout is brewed with milk sugar and milk chocolate. The rich and creamy brew reminds us of a cold glass of chocolate milk and our hometown “Aggie” roots. 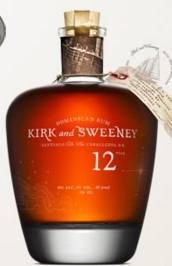 KIRK AND SWEENEY was a wooden schooner, best known for smuggling rum from the Caribbean to the Northeast during the early years of Prohibition. AromaThis deep mahogany colored rum presents a sweet aroma balanced heavily toward cane honey, with earthy sugar cane undertones,along with a hint of vanilla, luscious toasted oak, caramel and dried fruits. 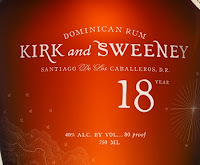 Kirk and sweeney was distilled usingTraditionally harvested sugar cane and aged in oak for 18 years to fully Develop its profile—an enticing scent of sherry and molasses, followed by the taste of deep vanilla with a hint of caramel and dried fruits. Looking at its deep amber and iridescent copper color, it's clear this 23-year-old Rum is uniquely charming. Its nose teases with toasty, dried fruits and a hint of honey and toffee, while the taste delights through an evolving sensation of fruit, vanilla and sherry. Aroma: The aroma presents subtle notes of dried fruits and sweet, toasted breads, along with a base toffee, fresh honey and caramelized sugar. Tou can also appreciate a faint hint of almonds and vanilla. 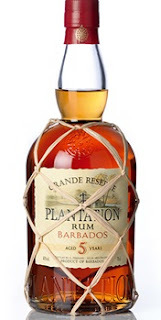 Taste: Having spent 23 years in the barrel, this rum is as pleasantly complex as the nose and aging would suggest, offering a rich evolution on the mouth–from fresh, sweet sensations to fried fruits. Finish: Finishing off each decadent sip, you’ll find end notes that range from a distinct caramel, to sherry, to a well-balanced blend of almond and vanilla.